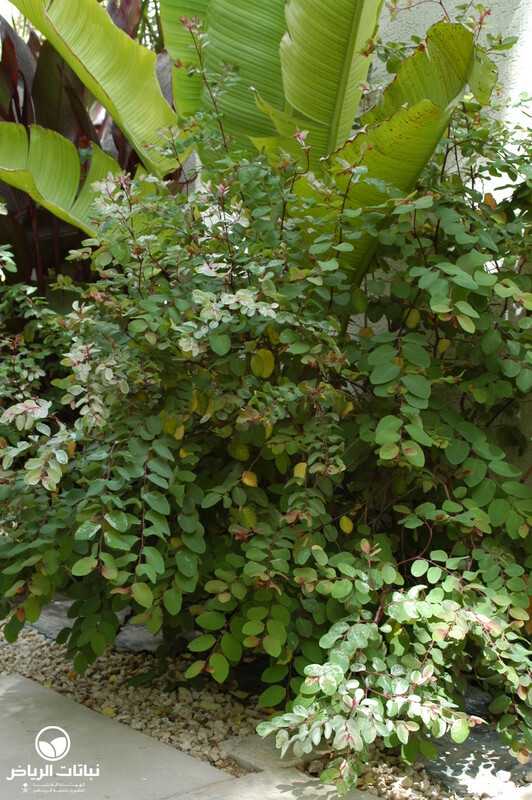 This is a medium-sized, showy, tropical shrub actually originating in the South Pacific, but now gradually being seen in Arriyadh in intensively designed open spaces that are regularly irrigated and thus have the level of moisture that this plant requires. 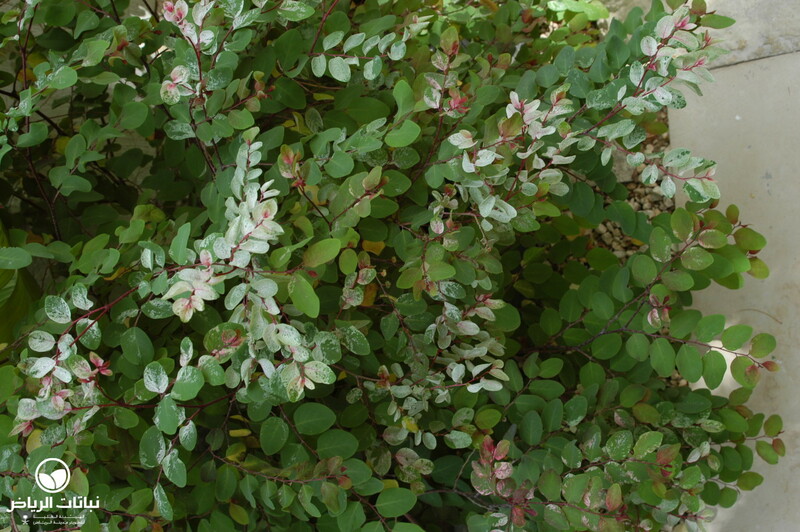 Its basic attraction is the variegated leaves, which at a distance look like flowers, and the white mottled leaves look as if they have been snowed on. 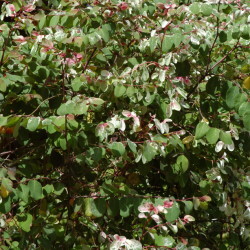 B. disticha var. 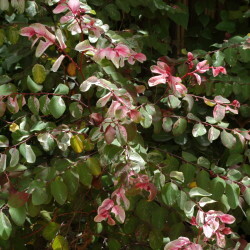 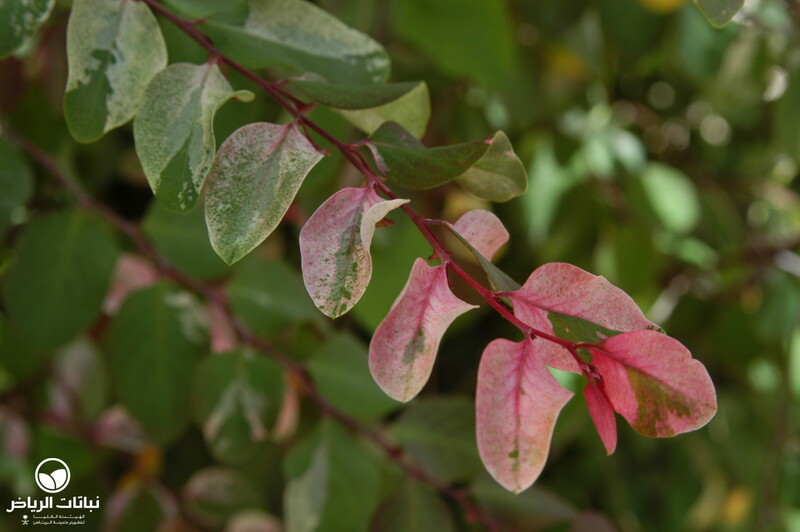 ‘Roseo-picta’ has a mixture of green, white, pink and red leaves on pink and red stems in a zigzagged fashion. 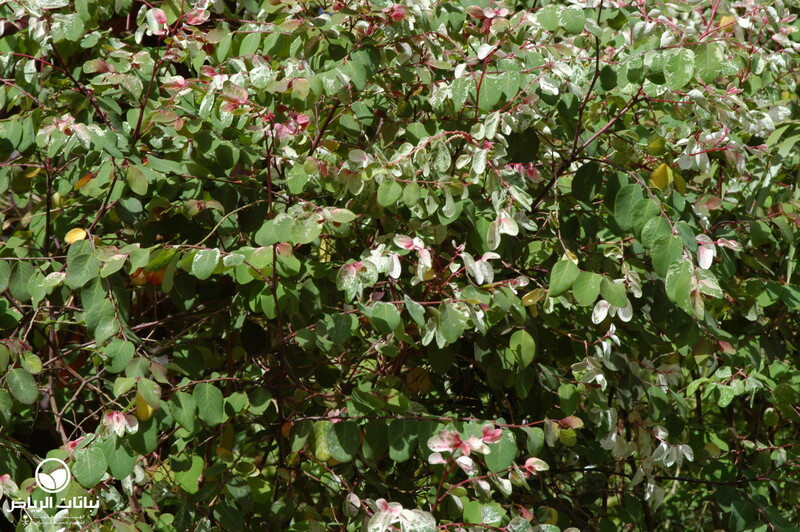 The small, greenish, petal-less flowers are inconspicuous. 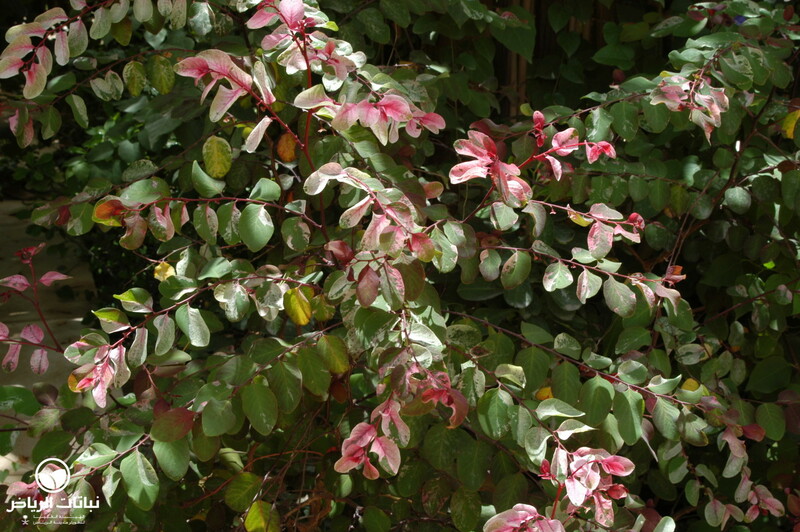 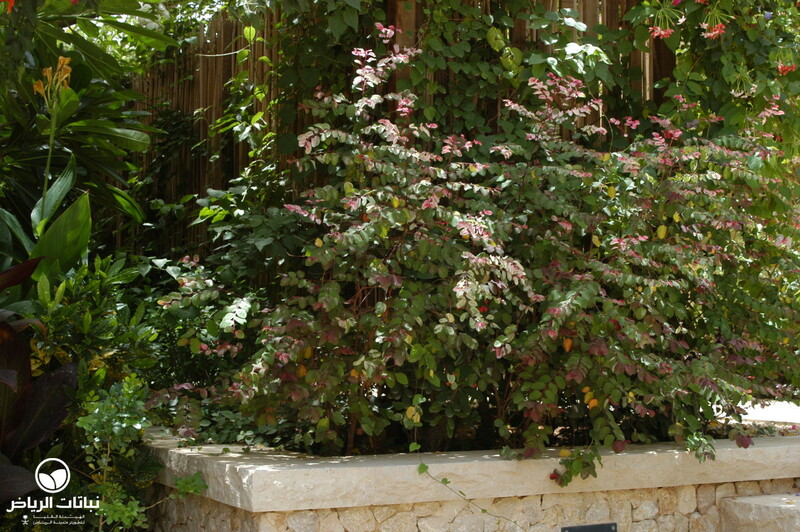 The shrub thrives in partial or light dappled shade. 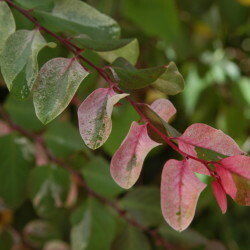 Not frost-hardy, foliage will return after the winter. 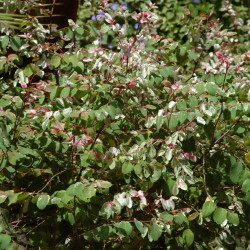 It is propagated by softwood cuttings in summer or root suckers. 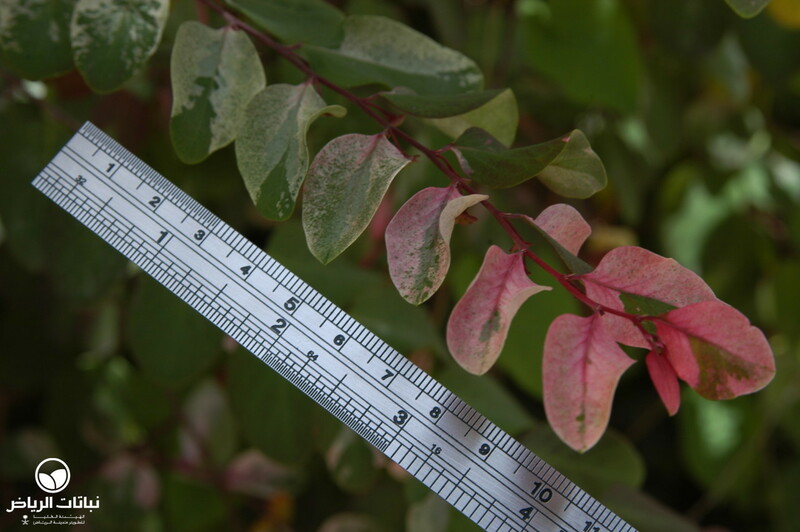 Pinching out stem tips when young will promote branching growth. 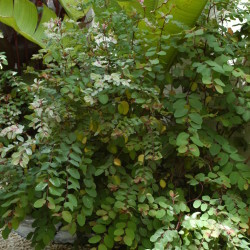 The plants, which spread with their root suckers, can be invasive in a garden. 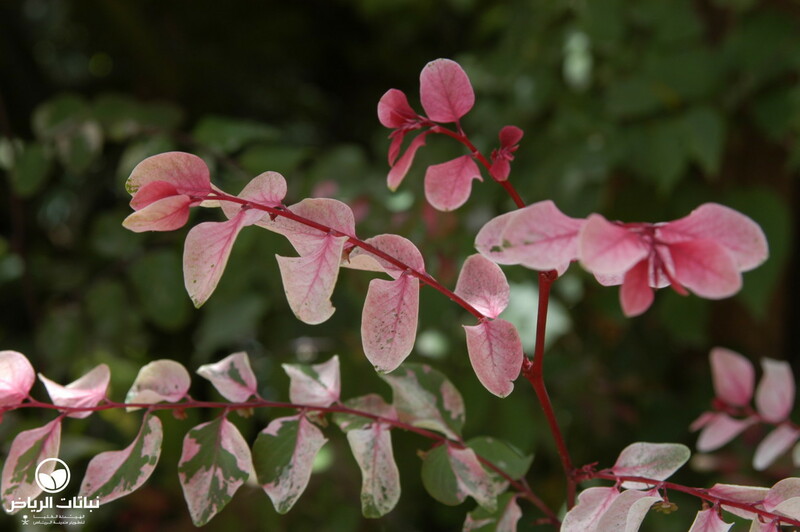 It also drops its seeds frequently, which then germinate quickly underneath the plant. 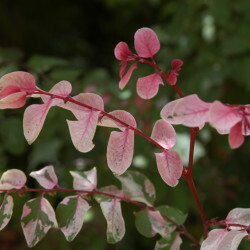 Good for mass planting, as a useful background shrub, or as an accent in a shrub border, it can also be clipped as a hedge or used as an edging plant. 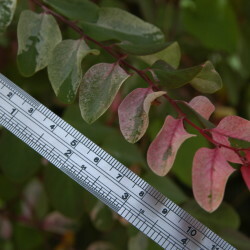 The dwarf variegated form is useful as a ground cover and the pink leaves are attractive in containers. 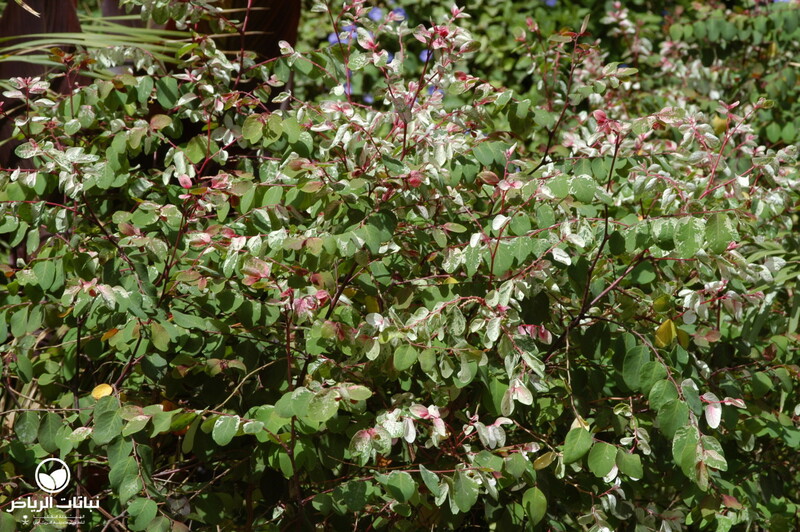 B. disticha requires high maintenance, and, needs regular fertilising with nitrogen and potassium. 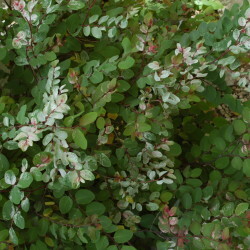 Regular trimming promotes compact, new growth, and thus a new display of colour. 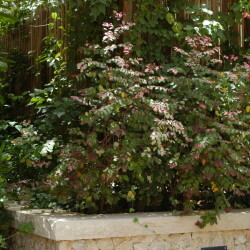 Shrubs require regular irrigation and consistently moist soil, since otherwise leaf drop may occur.